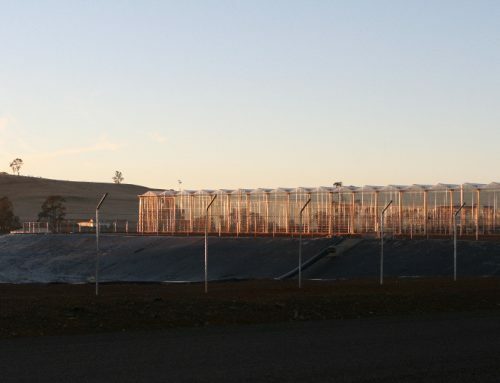 AIS Greenworks, Croudace and Apex Greenhouses have worked hard to deliver the Western Sydney University Greenhouse Project, a world class facility which boasts nine individually operated greenhouses in the one 1600m2 structure. 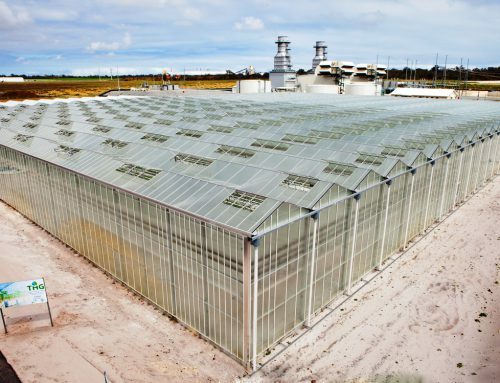 Each individual greenhouse is independent of each other with its own enclosed systems to ensure accuracy in controllability and consistency in attaining research data. The systems have been installed in locations that enhance the flow of the process and make the setup more ergonomic, thus reducing the energy required to run them. Starting with a 270kL Rainwater storage tank outside the western wall of the main structure, water is mixed, treated and tested via a purpose built Technical Unit which then delivers fertigated water to a designated day tank for each greenhouse. Water is sent from here to the grow gutter and any excess is returned to the gutter drain recycling tanks to be UV treated for pathogens and then blended via the Technical Unit at a later date. 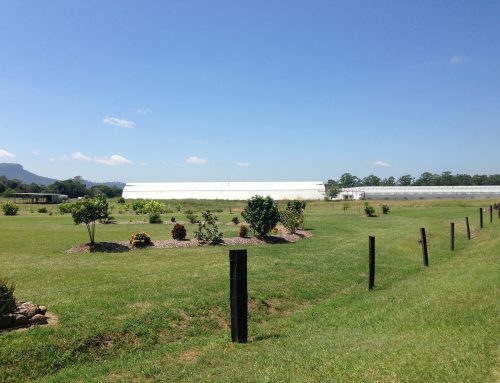 In total, at any one time, this project can hold more than 328kL of usable water for the greenhouses. High Pressure fogging, chilled water cooling and standard hydronic heating with instantaneous gas boost form the functional means of temperature control as well as pad and fan cooling in greenhouse nine, the larger of the greenhouses planned to be used by WSU for general training and seminars. With the view of having a minimal impact on light interference by the installation of systems, the AIS Greenworks team have hidden all cabling and minimised and streamlined pipework. Due to the decision to install concrete floors for control of hygiene and ease of maintenance, all irrigation, drain, fog, CO2, and recycling pipework on this build has been provisioned above ground within the main structure.